Last year I began a photo series of portraits of wildflowers. They are beautiful close ups taken with my Mamiya and I love them dearly. 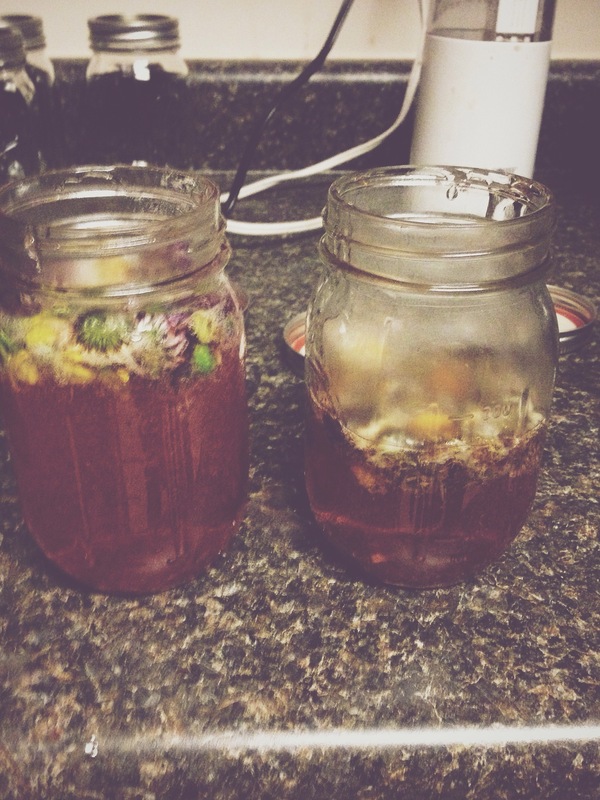 My goal with the project was so identify wild plants, forage edible wildflowers and preserve them as jam. Once I finished shooting for this project, the wildflowers were past their prime so I decided to finish the last step of my project here in Asheville! 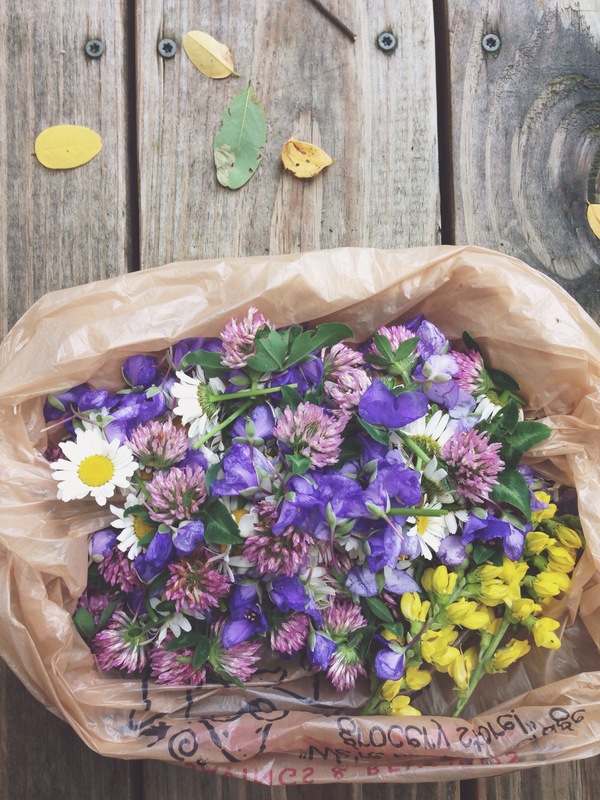 I went out on some lovely hikes and gathered daisies, red clover, honeysuckle and spiderwort. I’ve been making jam almost every year since I was a toodler with my grandmother and mother, then I continued to make our famous strawberry jam with one of my sisters every summer as we grew up. 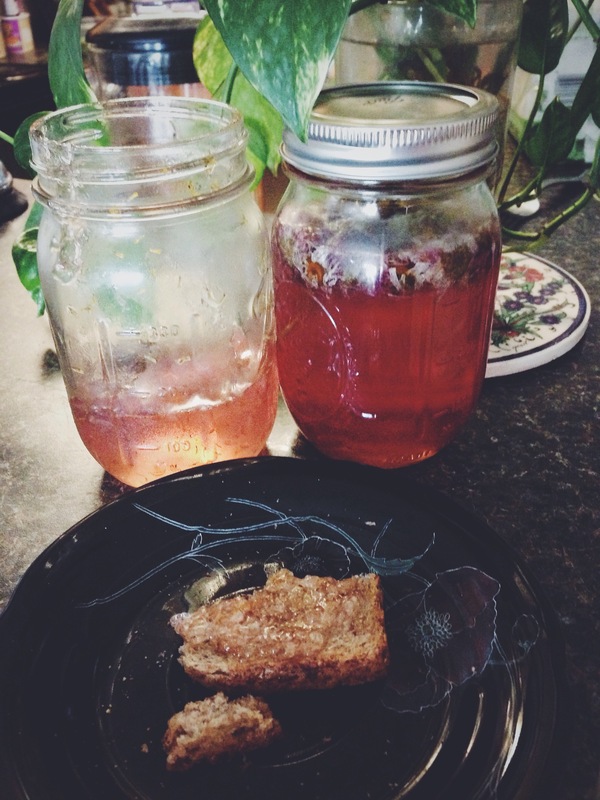 I didn’t follow a recipe for the wildflower jam, just used what I already knew about jam making, but I wanted to share the steps I took because this stuff is amazing and everyone should try it! 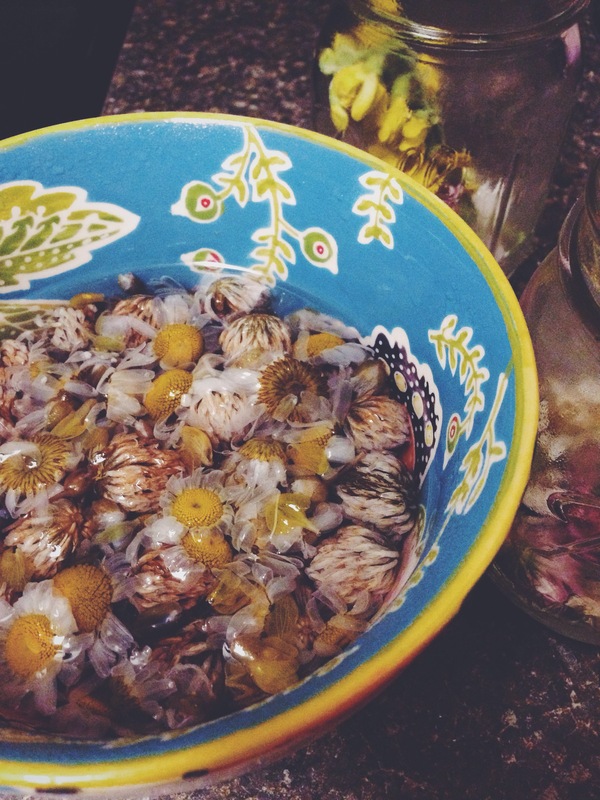 First I gathered the flowers, I ended up with about a cup and a half total once the buds were picked and washed. I then picked all of the buds off the stems and washed them in cool water. 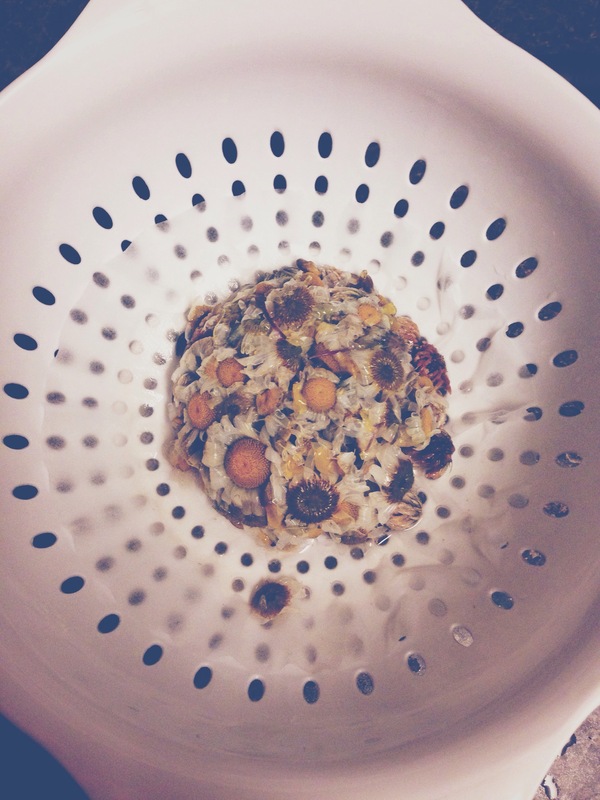 I put them in a bowl and steeped them in 2 cups of boiling water. The flowers sat in the water for about 24 hours. Next, I straind the wildflower infusion into a pot (ended up being about a cup and a half). I added one box of pectin and the juice from one lemon. I stirred the mixture on and off til it came to a boil, then I stirred in two cups of sugar and continued to stir until the jam mixture came to a roaring boil. 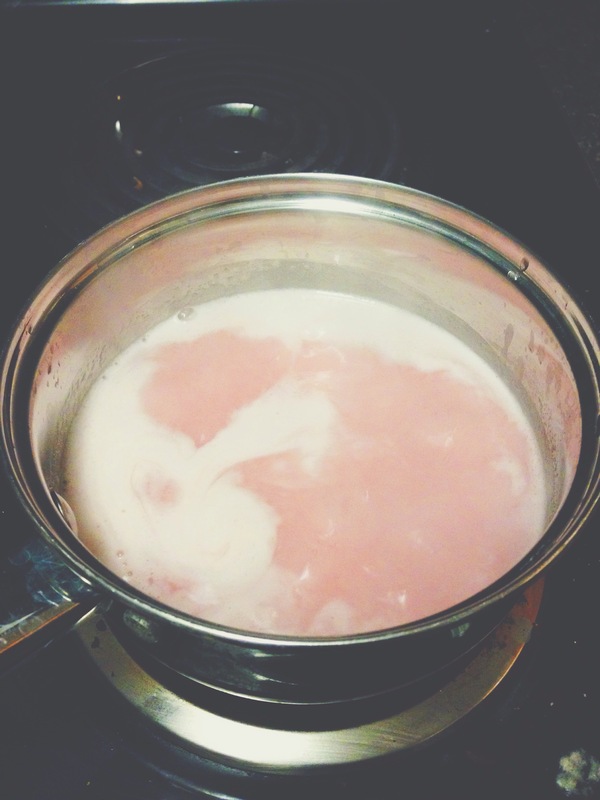 I continued to stir the jam mixture for another minute. 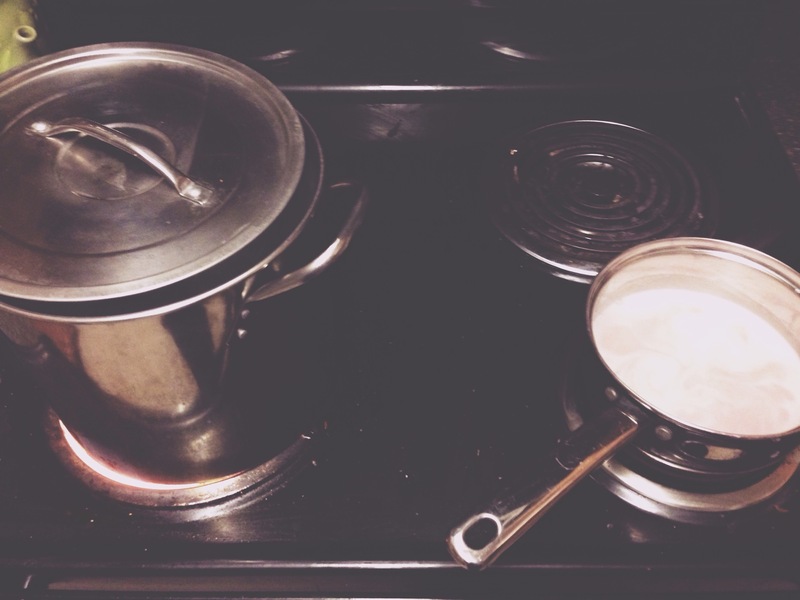 While this was going on I boiled a pot of water for the mason jars to process in. This is the part where you have to move fast. I had prepared heated jars before hand to ladle the jam into. I filled up the jars as much as I could and then I put some freshly washed wildflowers on top. *Little side note: technically speaking, jam has little bits of fruit in it and jelly is made from an infusion. I thought that if I put whole flowers into my “jelly” that I could then call it jam. 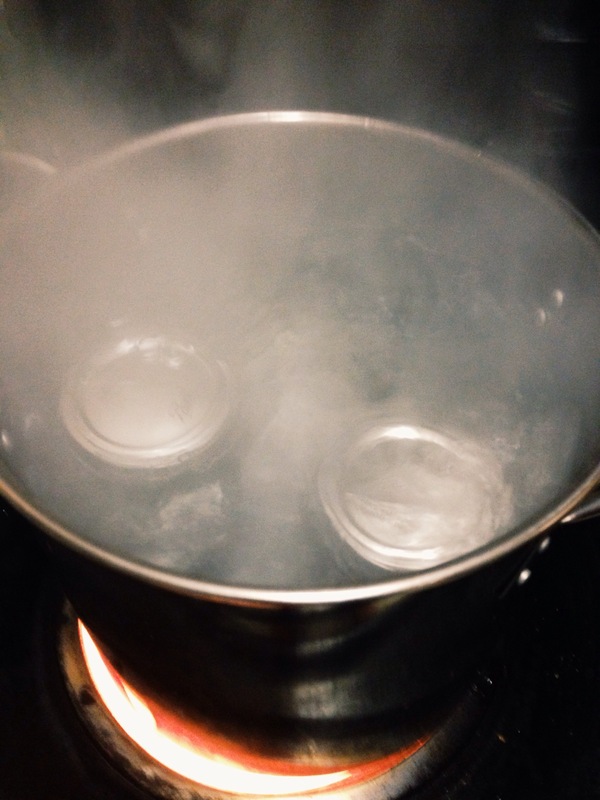 I covered up the jars and put them into the boiling water to process for ten minutes. Then I removed them and let them cool over night. The jam came out exactly how I had hoped! The consistency was perfect, just like any other jam or jelly, and the taste was…well, floral! It was a little sour and delightfully sweet. 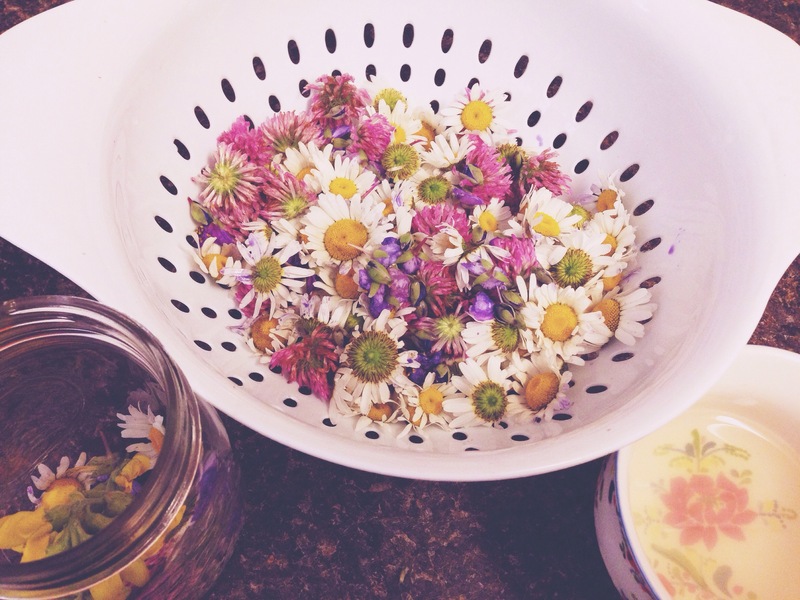 I had so much fun making my wildflower jam! I hope you find my instructions helpful and decide to make some jam of your own! This entry was tagged Art, canning, DIY, flowers, foraging, jam, jelly, making jam, Photography, wildflowers. Bookmark the permalink.